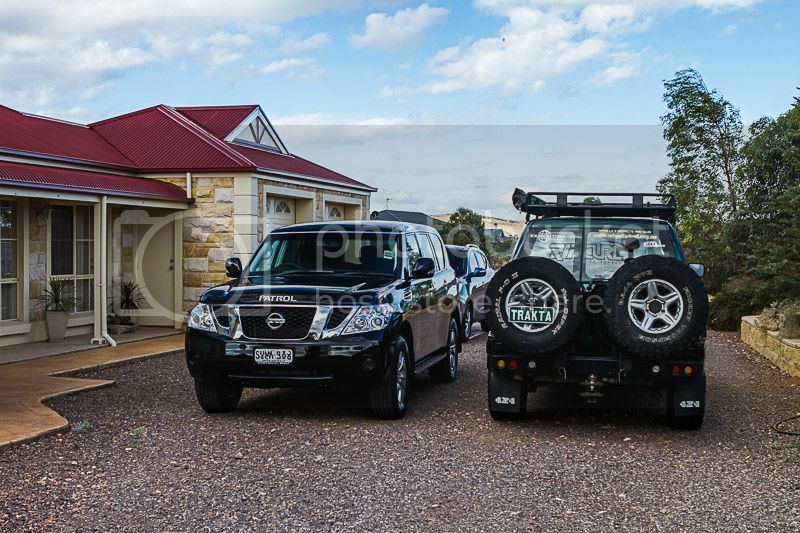 Got a new Patrol on loan for the night, thanks to Malcolm from Whyalla Nissan. Very very nice. Fuel consumption around town looks to be about the same as the GTS. Highway fuel is a bit high cruise controlling at 110 (12-13L/100) but its only done 400kms. Its a fair bit bigger than the GU. 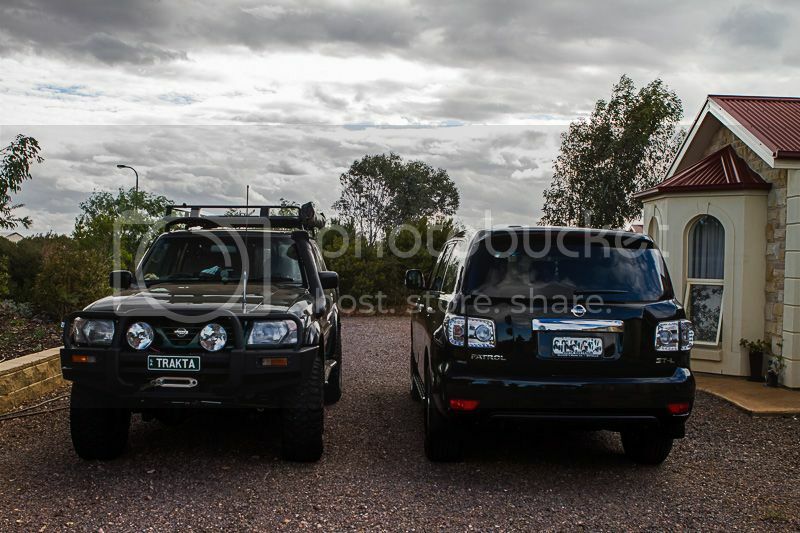 Trakta has 4″ lift and 35″ tyres and the new one is still slightly taller. Inside its a massive difference. Could comfortably get a 40L Engel behind the 3rd row seats. Pretty much did what I wanted to do. Cant take it offroad unfortunately. Checked the acceleration (like a cut cut snake), braking (sensational – a GU can only dream of stopping this well), around town driveability (slightly thirsty, dead quiet, handles reasonably, bloody big) and a couple of highway runs (reasonable fuel, super quiet, 1800rpm @ 110). This entry was posted on January 31, 2013. It was filed under Wheels.